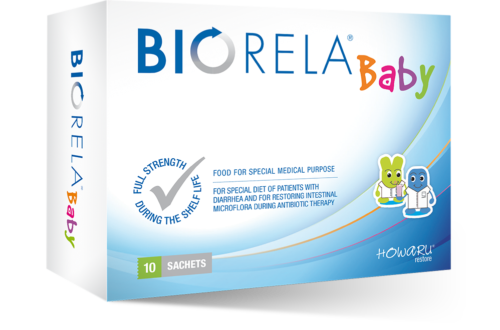 What is Biorela® Choco Prenatal? 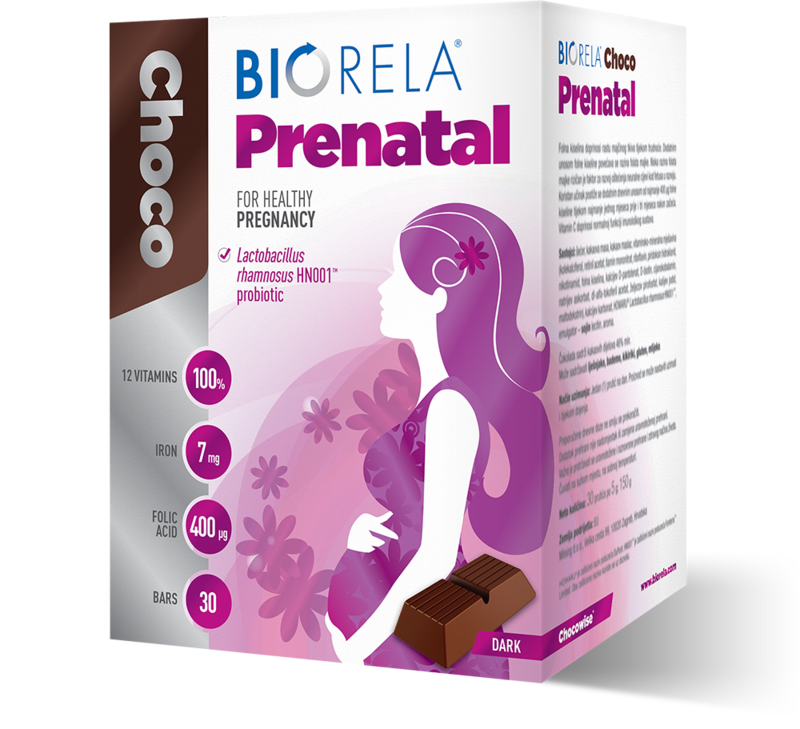 Biorela® Choco Prenatal is an innovative combination of vitamins, minerals and probiotic bacteria for mother and baby, in the form of fine dark chocolate. 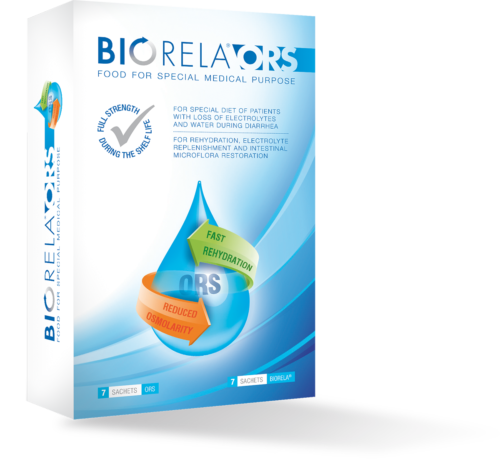 Contains HOWARU® Lactobacillus rhamnosus HN001™, which has tested to be safe and effective during pregnancy and nursing. 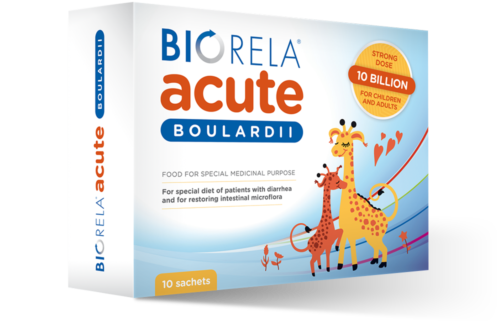 The formula contains the necessary nutrients for a healthy pregnancy and for proper growth and development of baby, including folic acid, iron and iodine. 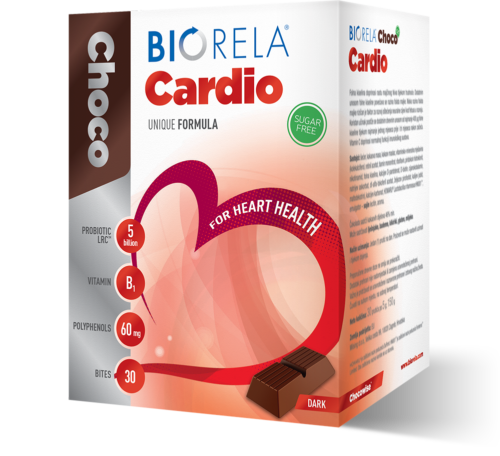 The chocolate form ensures its stability and makes it easy to take. HOWARU® is a trademark of DuPont. HN0o1TM is a trademark of FonterraTM Limited. Both trademarks are used with permission. 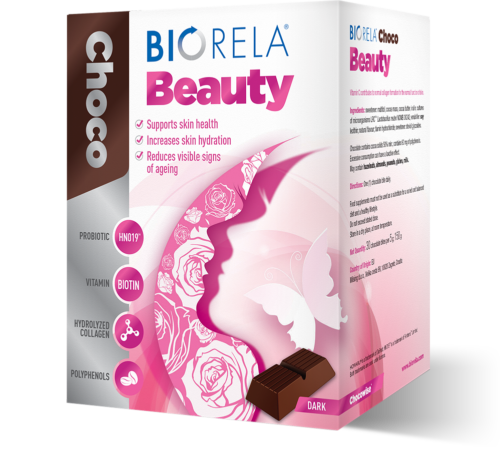 How does Biorela® Choco Prenatal work? 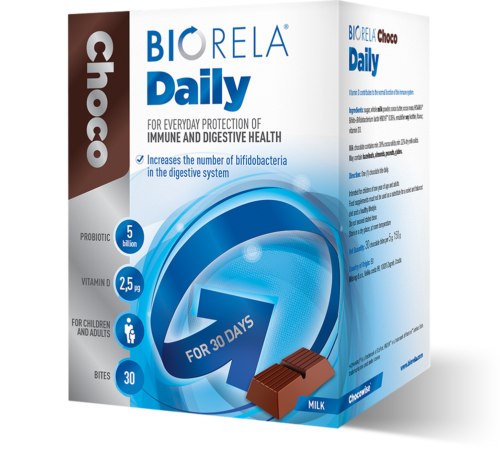 Biorela® Choco Prenatal contains bacterial culture that reaches your intestines alive to increase the number of lactobacilli within. Folic acid contributes to maternal tissue growth during pregnancy. Supplemental folic acid intake increases maternal folate status. Low maternal folate status is a risk factor in the development of neural tube defects in the developing foetus. Daily supplemental intake of folic acid of 400 μg for at least one month before and up to three months after conception has proven to be beneficial. Vitamin C contributes to normal immune function. 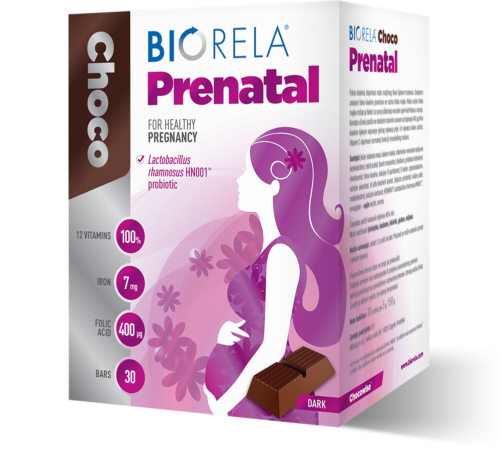 Biorela® Choco Prenatal is a food supplement for pregnant women, and can be used while nursing. One (1) bar per day. Available in a 30-bar pack. 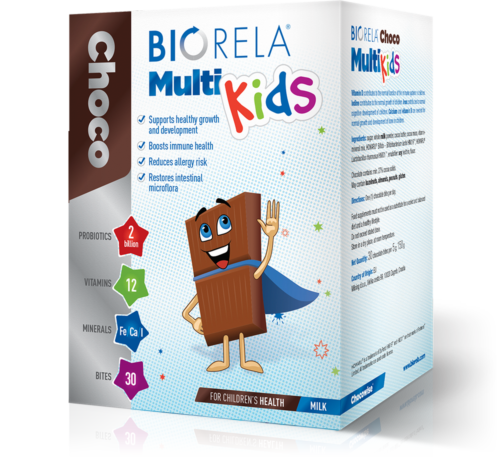 Protects the health of pregnant women and baby, and increases the number of lactobacilli in the digestive tract of pregnant women. Delicious dark chocolate with 46% cocoa. 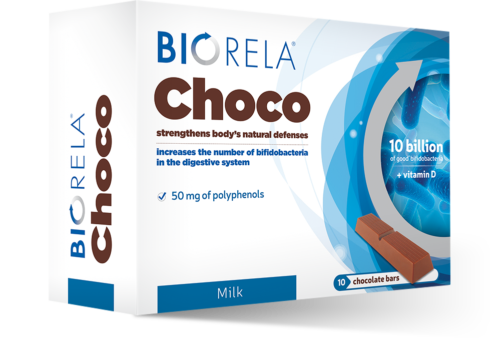 Chocolate medium is ideal for the stability of bacterial cultures. 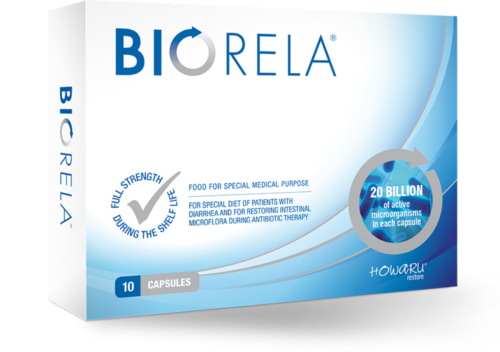 Bacterial culture is resistant to the conditions within the digestive tract and manufacturing conditions. Ideal for both pregnant and nursing women. 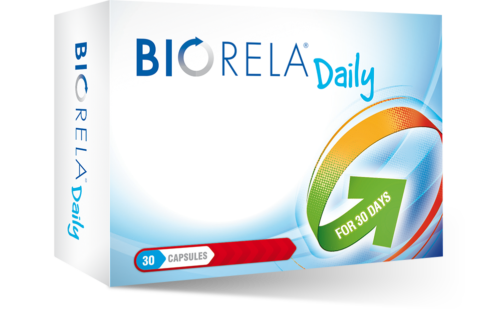 Practical monthly pack contains 30 bars for 30 days.